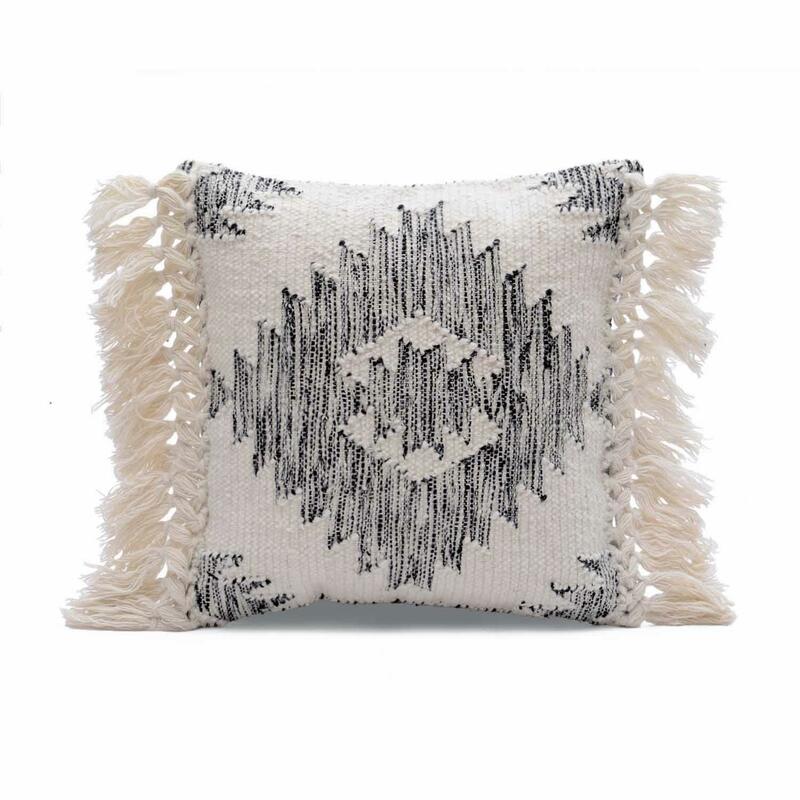 Decorative Off White Cushion Cover Size: 18" x 18"
Add some style to your home decor wih this wool cotton embellished stylish designer cushion cover. 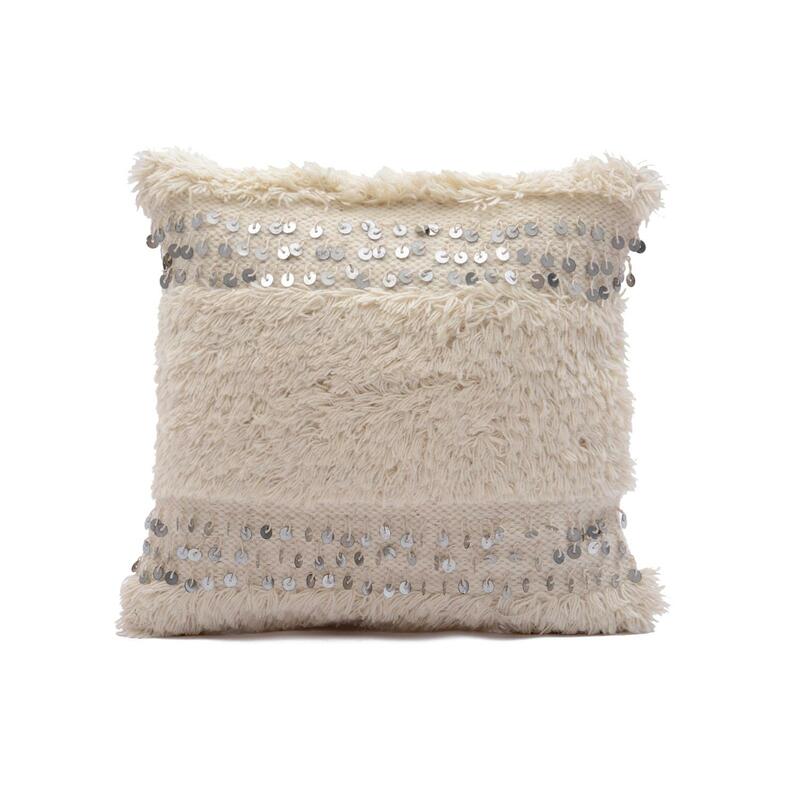 This beautiful embellishment is sure to to grab everyones attention and provide a classy look to your room. 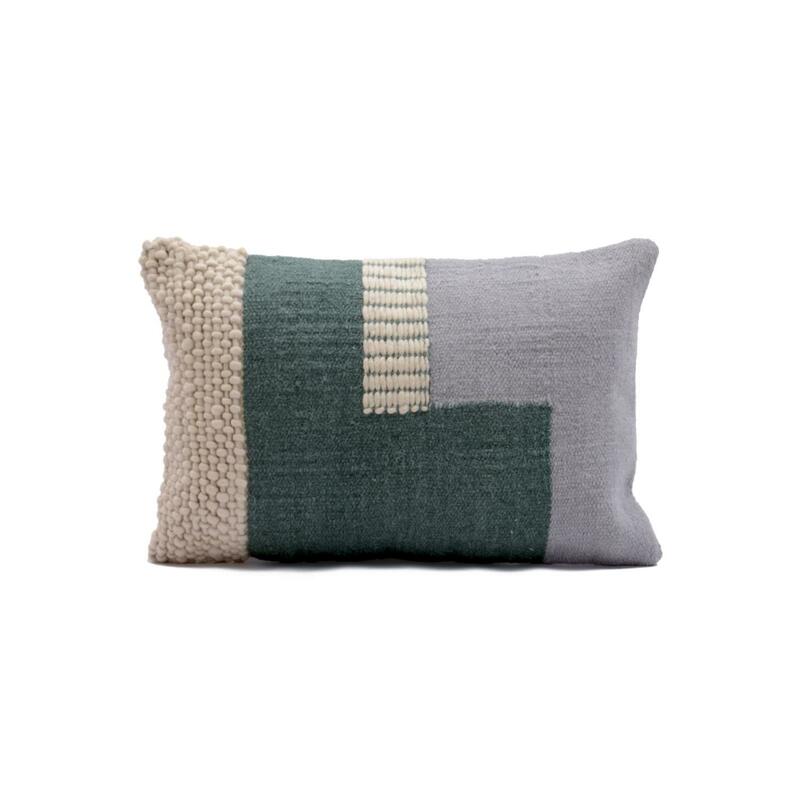 Delicate design and color of this decorative wool and cotton blend woven cushion cover will be the eye catcher in your space. 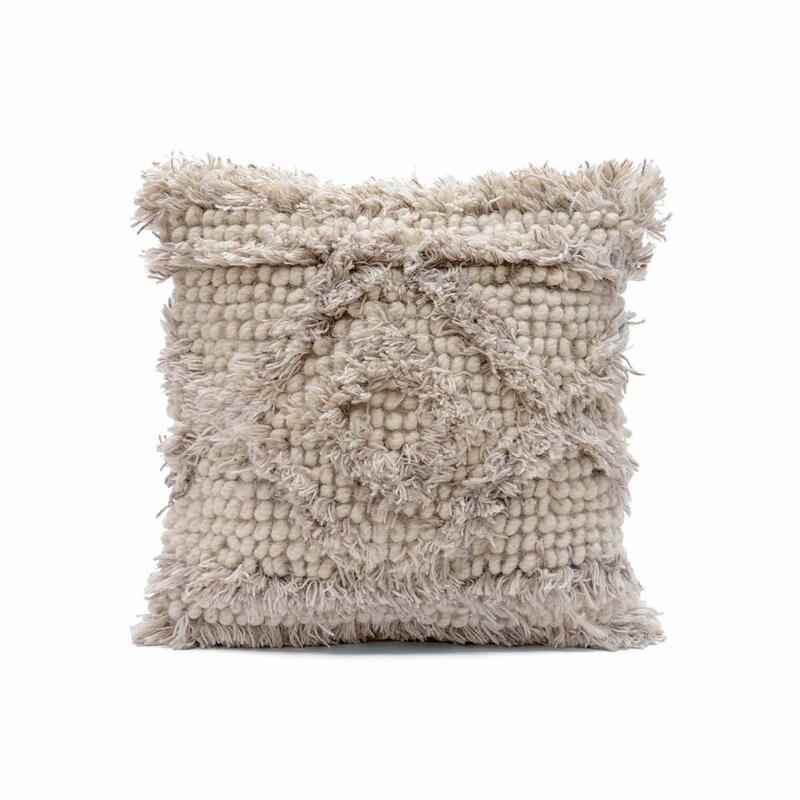 This classy and sophisticated textural cushion coevr is perfect for spice up your home décor. 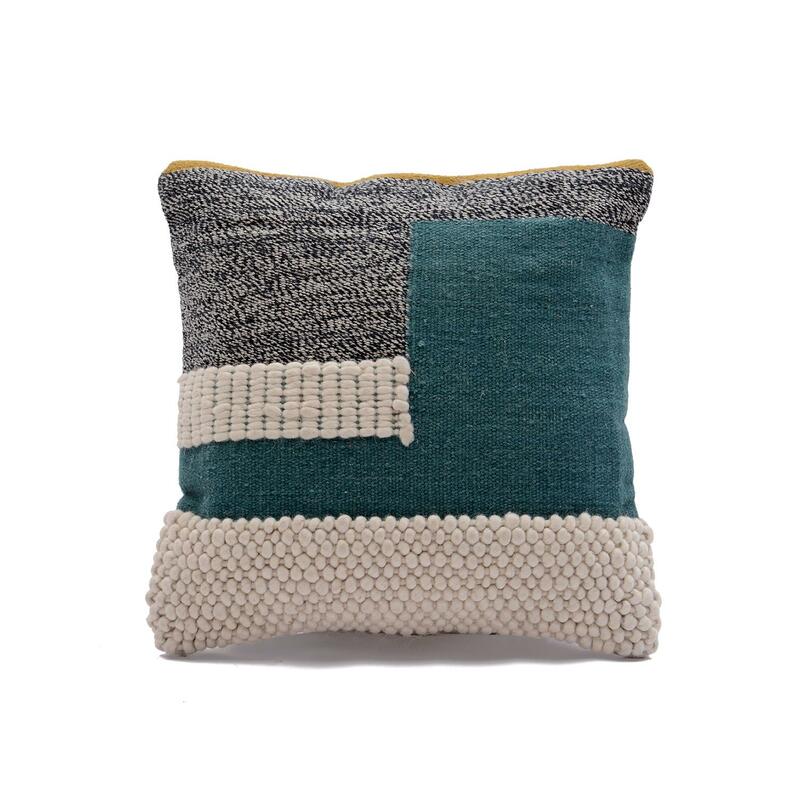 Well-made from high quality cotton and wool combination material, this cushion cover helps adding extra comfort and supple soft to the touch texture to your cushion. 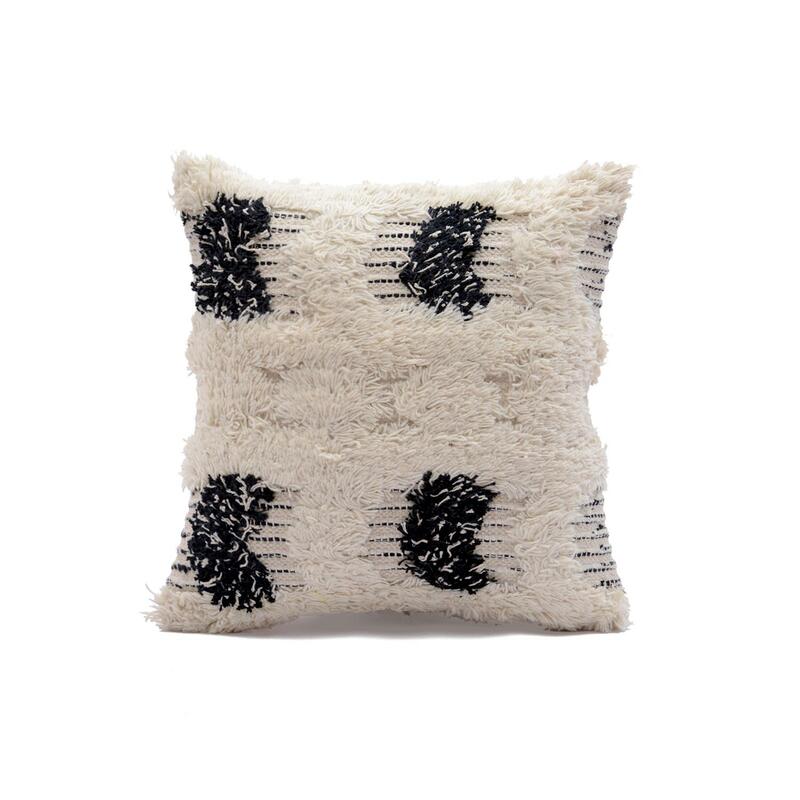 It will create a fun, flawless, upbeat look for any space. 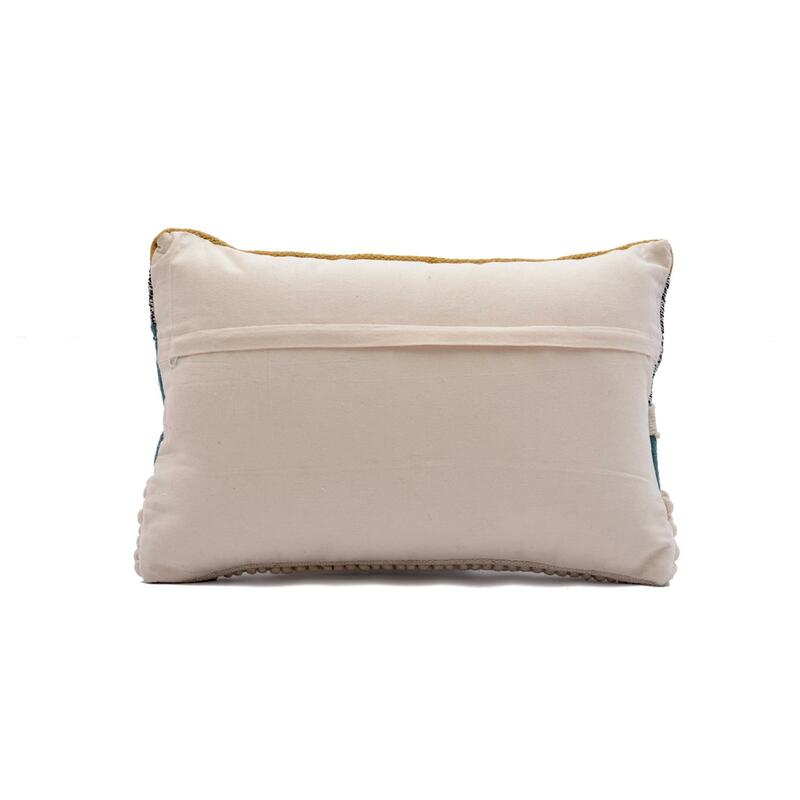 Adding cosy luxury to your sofa, this square cushion cover in a beige tone is richly textured in a soft and cozy wool. 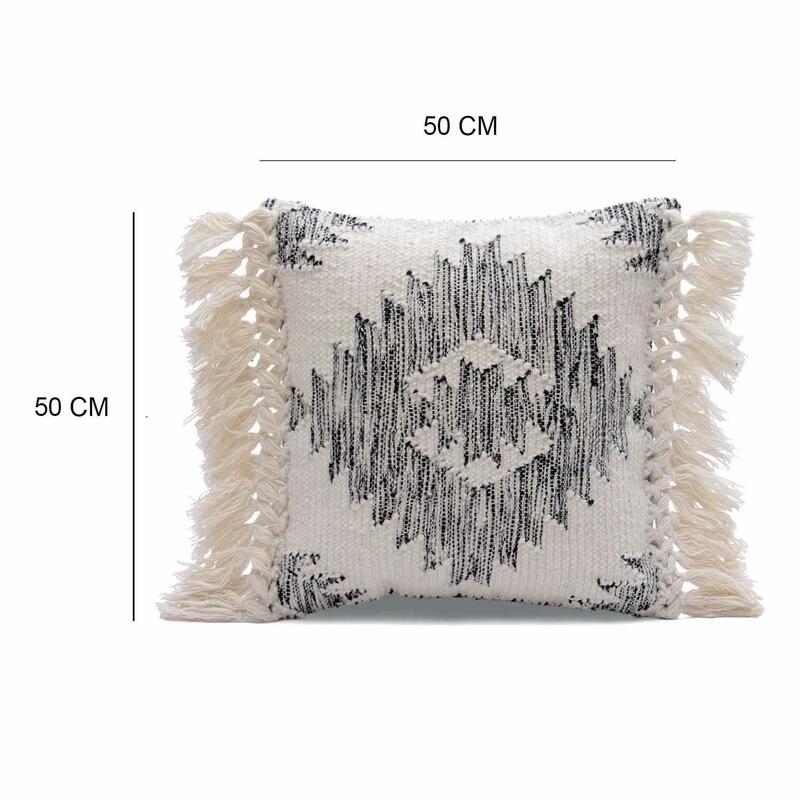 This super soft cushion cover can be used as a decorative feature to bring boho flair into the bedroom but is equally well suited to family space. 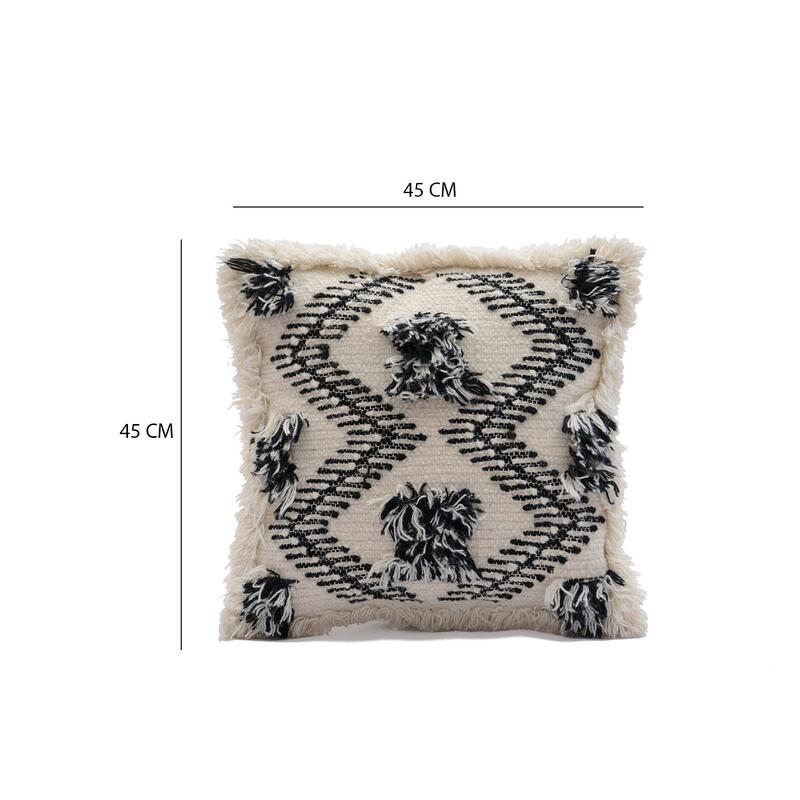 Handcrafted Wool Cotton Textured Pillow Cover Size: 16" x 24"
Add style and grace to your room with this Hand woven pillow cover that lends soberness and premium look. 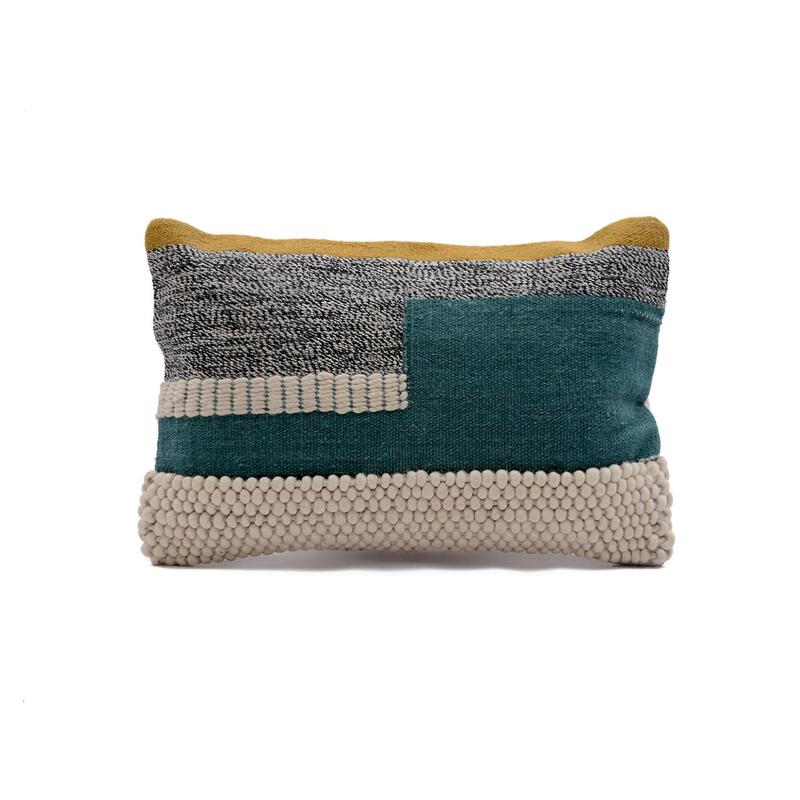 This textured pillow cover goes well with home, office and any indoor or outdoor sitting area. 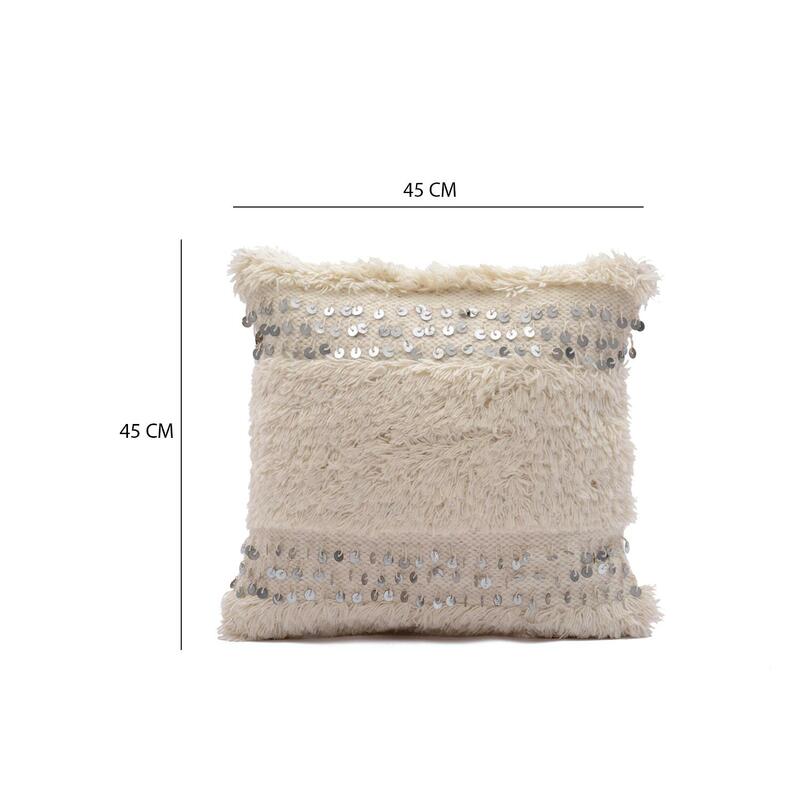 Handmade Textured Soft Pillow Cover Size: 16" x 24"
The brilliant blend of cotton and wool, this pillow cover offers an element of exquisite texture while the smooth construction adds a sense of flawless, and unique charm from room to room within any home decor. 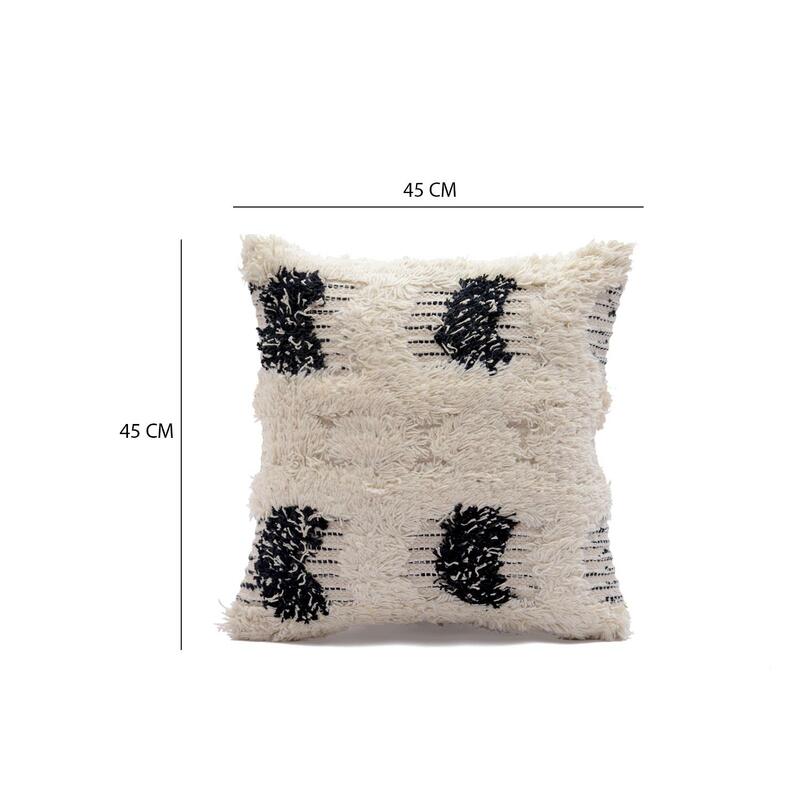 Handmade Wool Cotton Pillow Cover Size: 16" x 24"
This wool cotton handcrafted pillow cover is a perfect embellishment for your bedroom and living room. 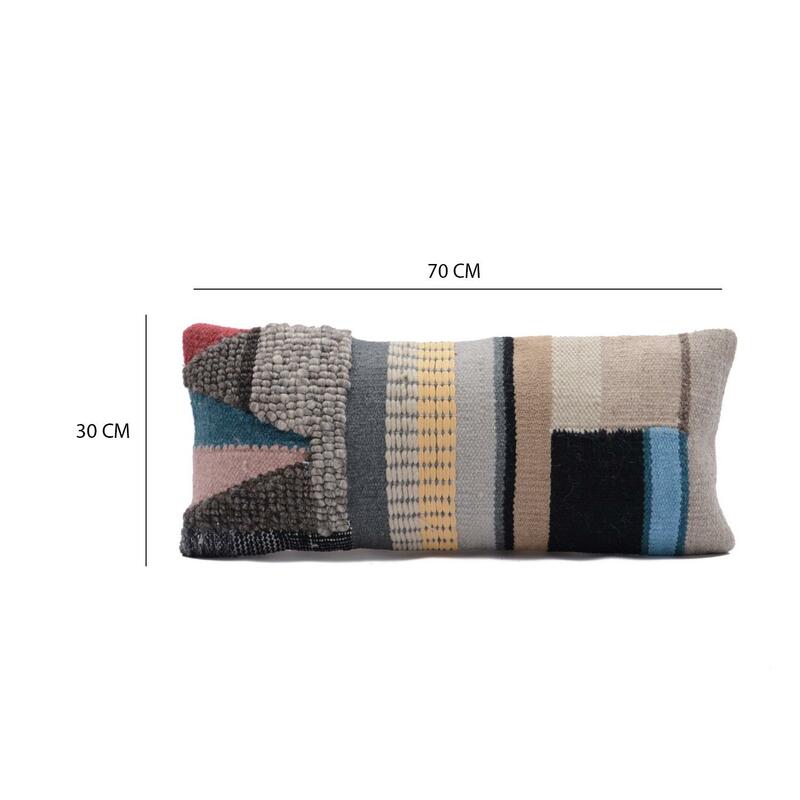 Fine quality wool and cotton material makes this pillow cover durable, comfortable and affordable. 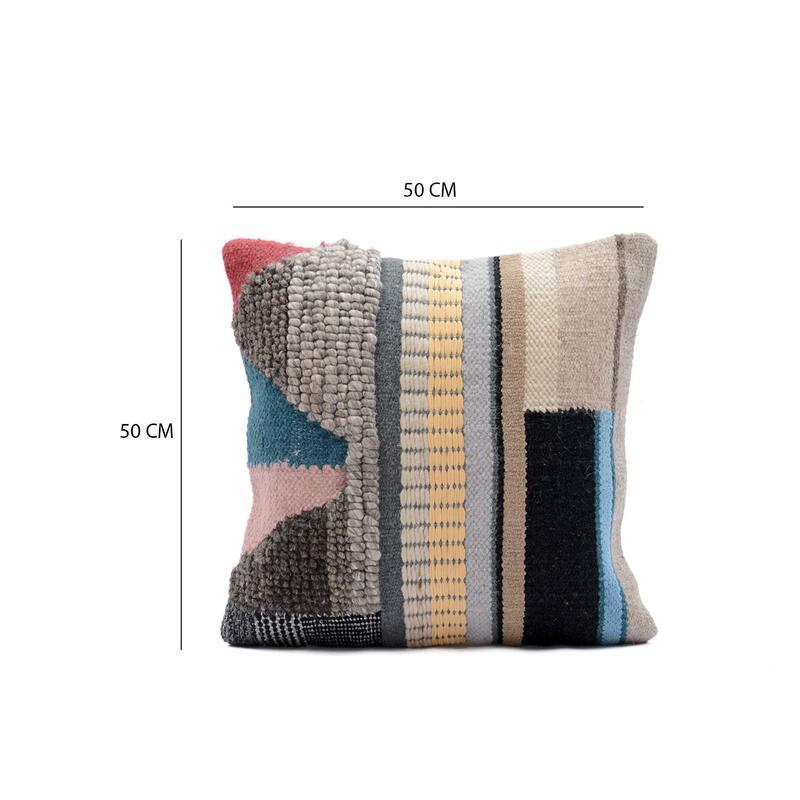 Modern Woven Wool Shaggy Cushion Cover Size: 20" x 20"
Combining different shades for a unique colour gradient effect, this striking, soft cushion cover will stand out and add extra comfort to your living space. 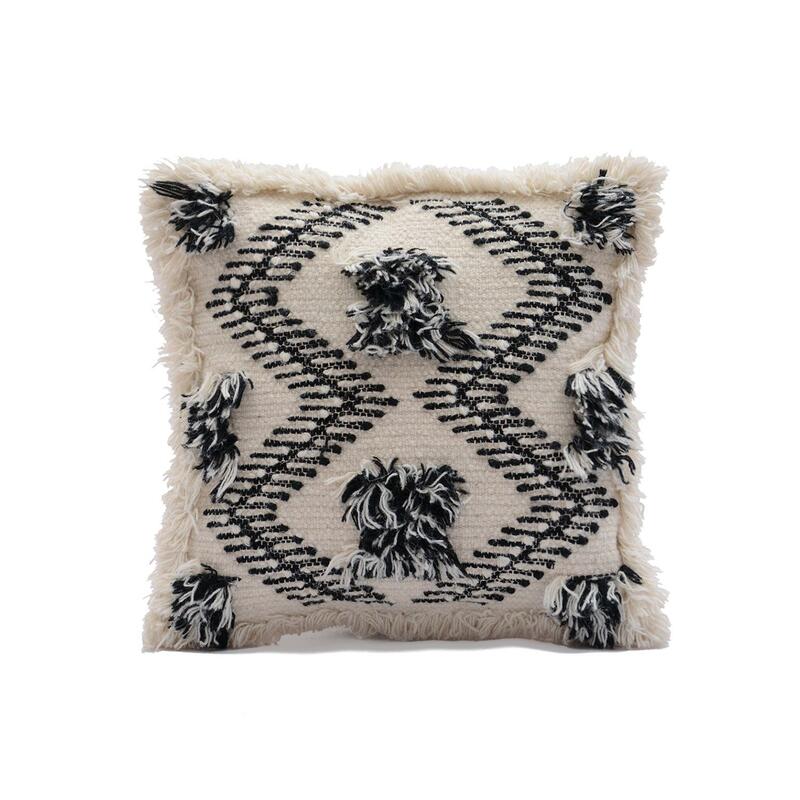 The eye-catching design of this decorative cushion cover will complement your home décor perfectly. 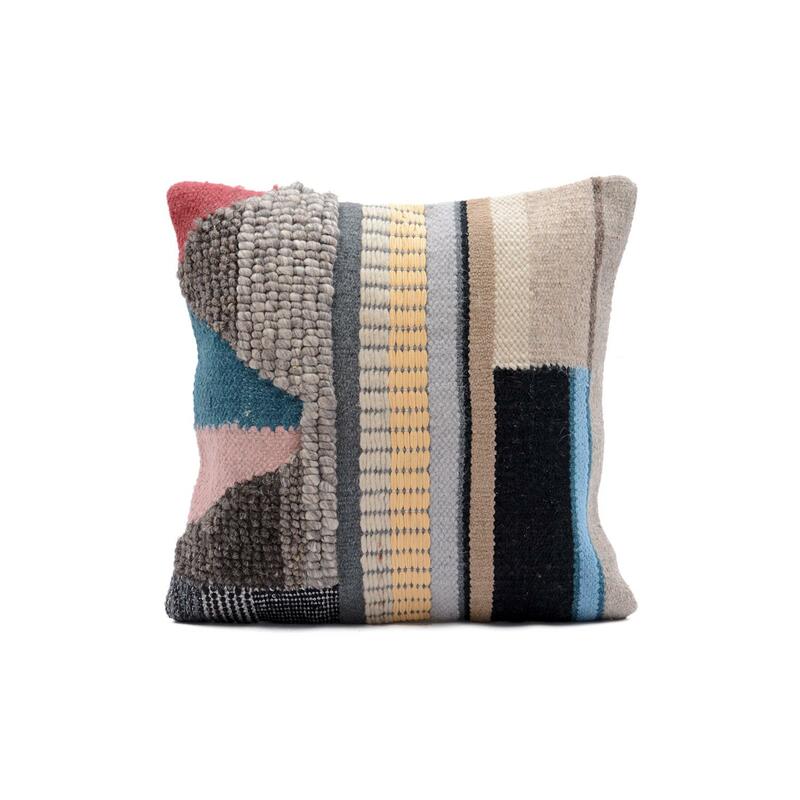 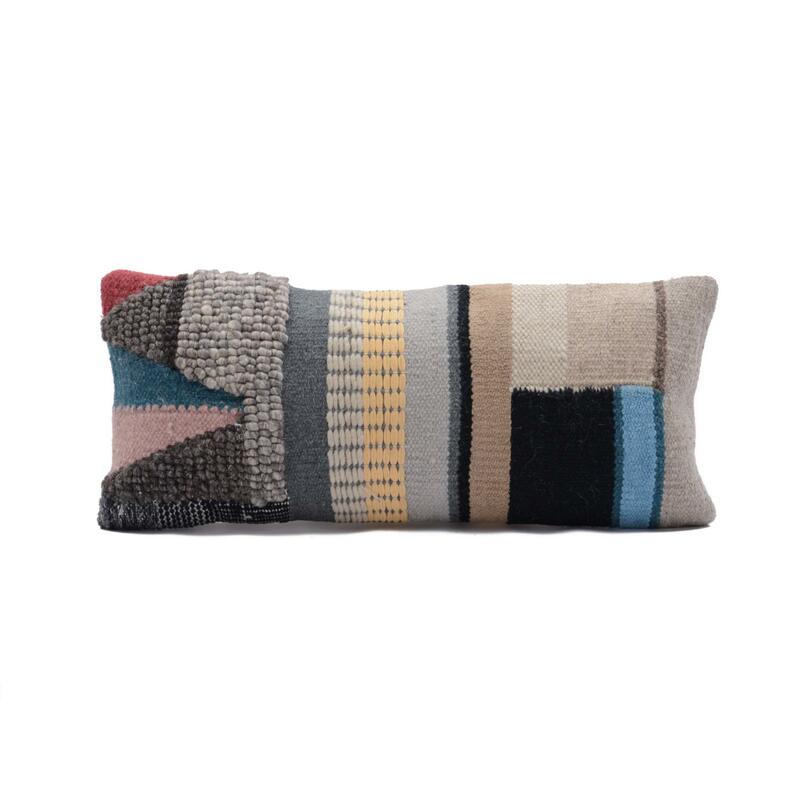 A perfect addition to any modern home, this wool cushion cover offers an on-trend, geometric design with fringed edges. 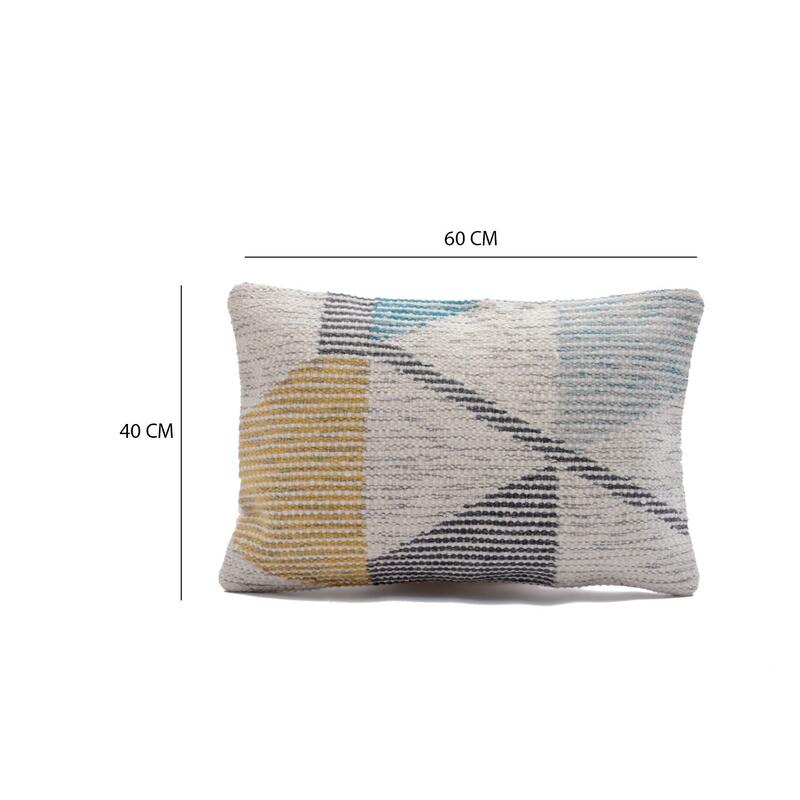 This delicately patterned piece will add a dash of color and cheerful design to brighten up your room. 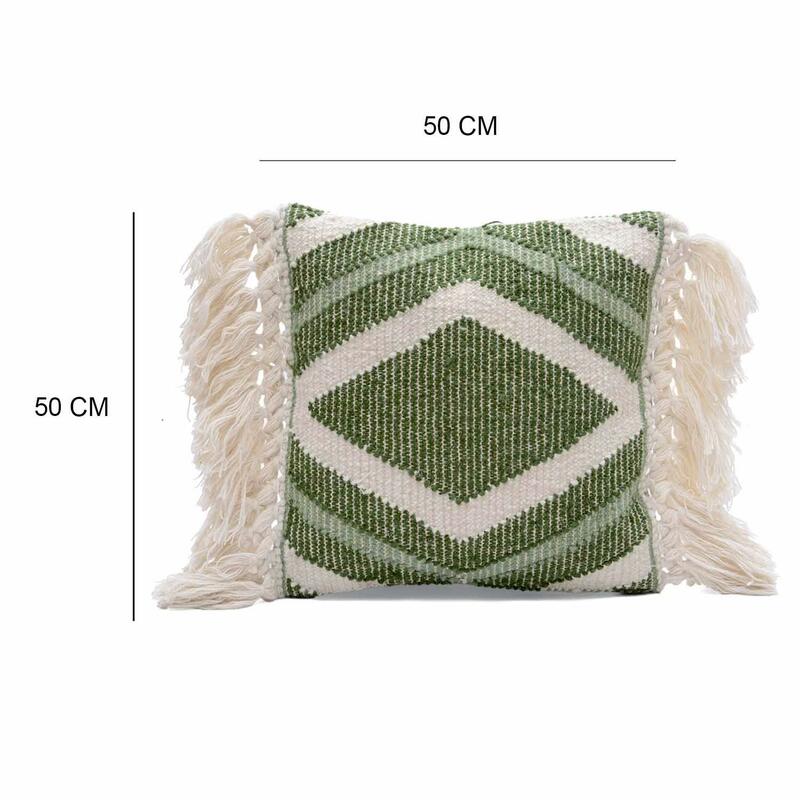 This beautiful cushion cover will add warmth, color and style to any room. 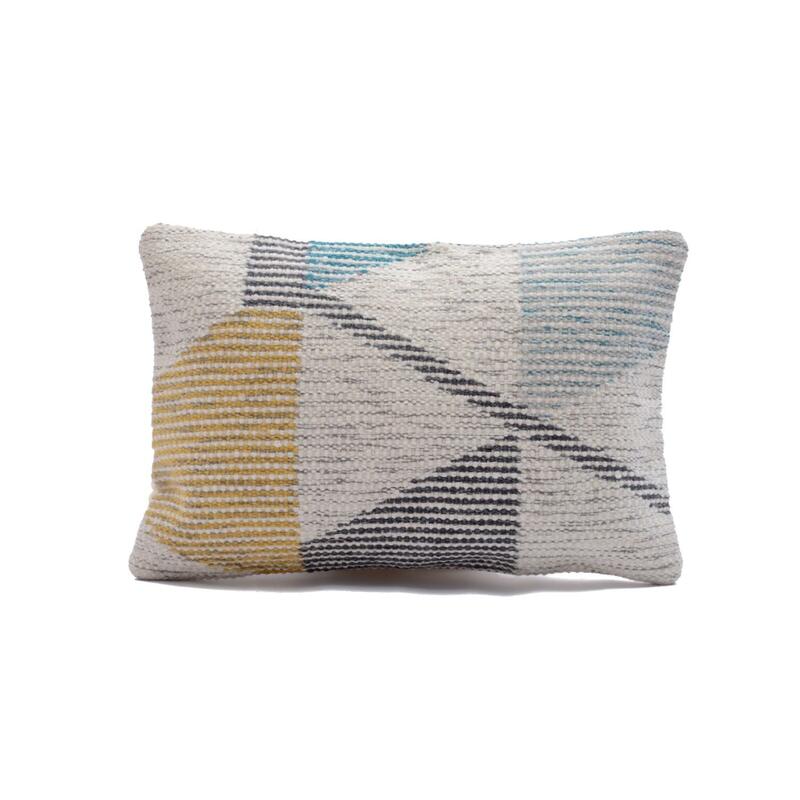 You can style this cushion cover anywhere into your home. 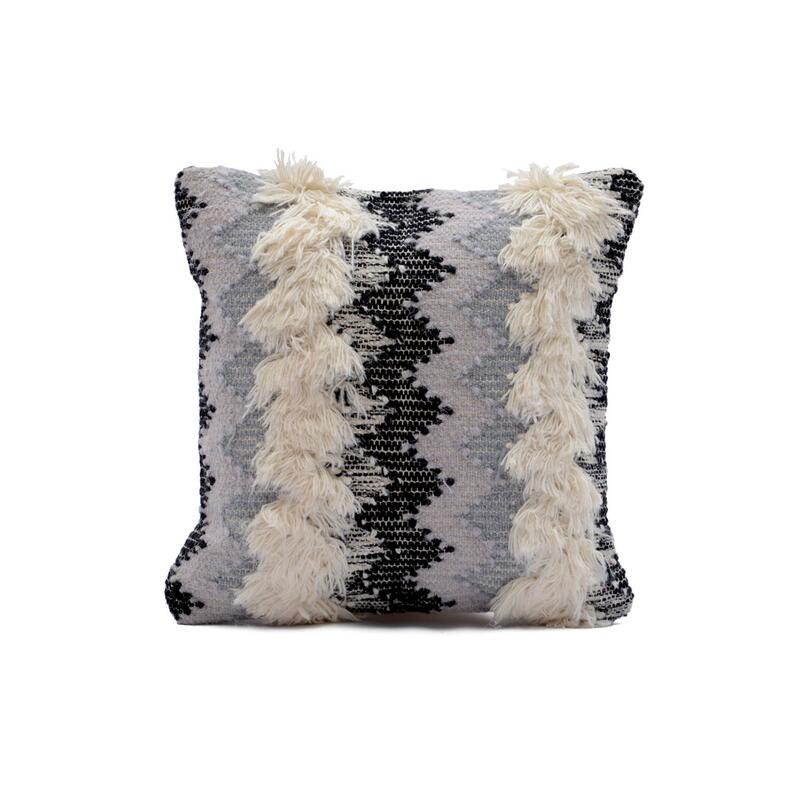 This designer cushion cover boasts a white and grey shade with a woven texture and fringed edges. 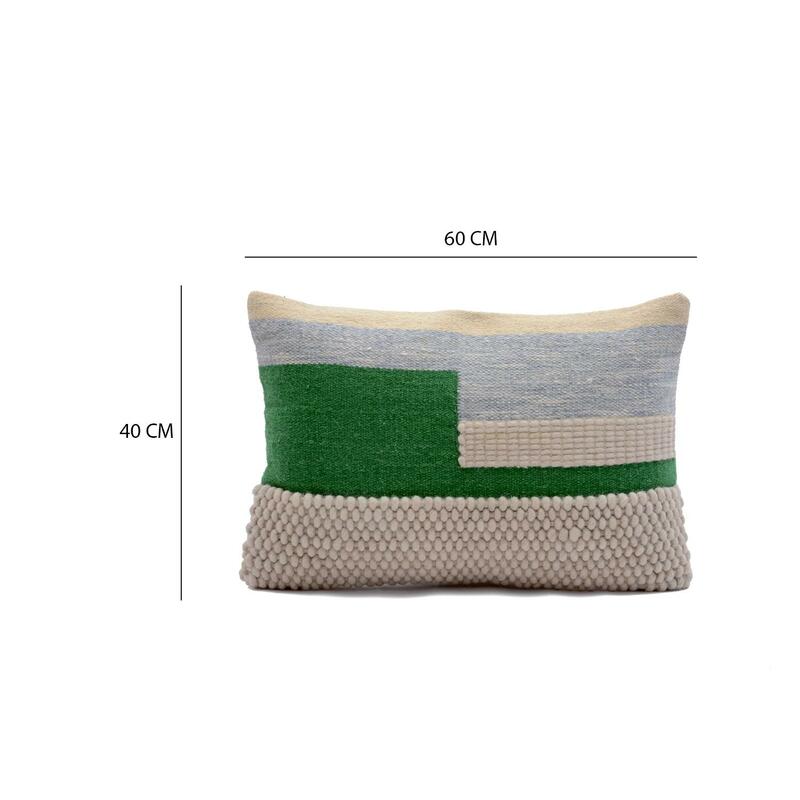 Wool Cotton Abstract Design Cushion Cover Size: 20" x 20"
This decorative cushion cover introduce blast of color to your living space. 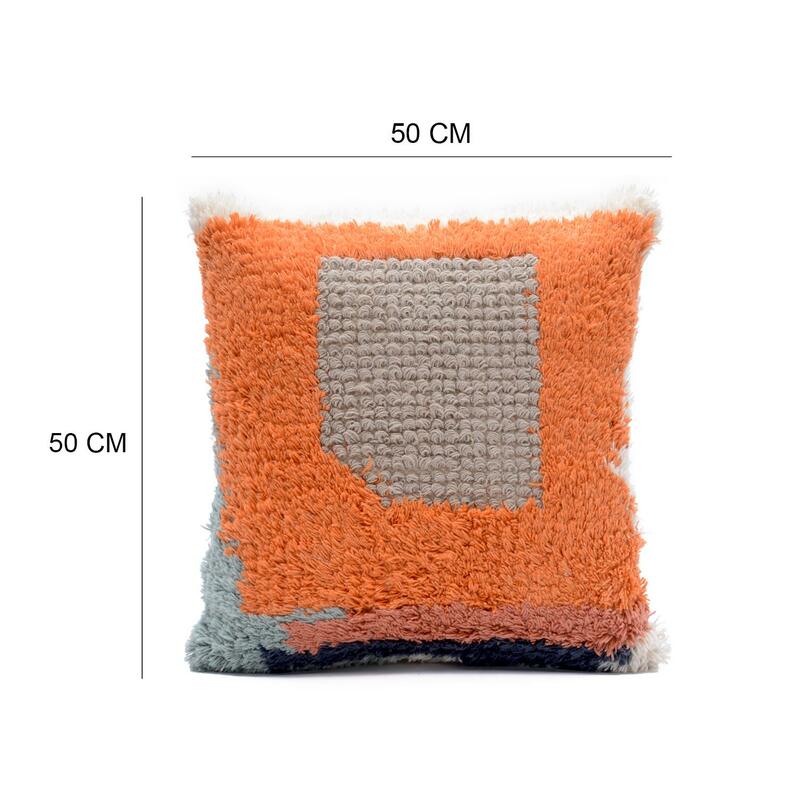 This beautiful cushion cover is made by best quality cotton and wool and is super soft to touch. 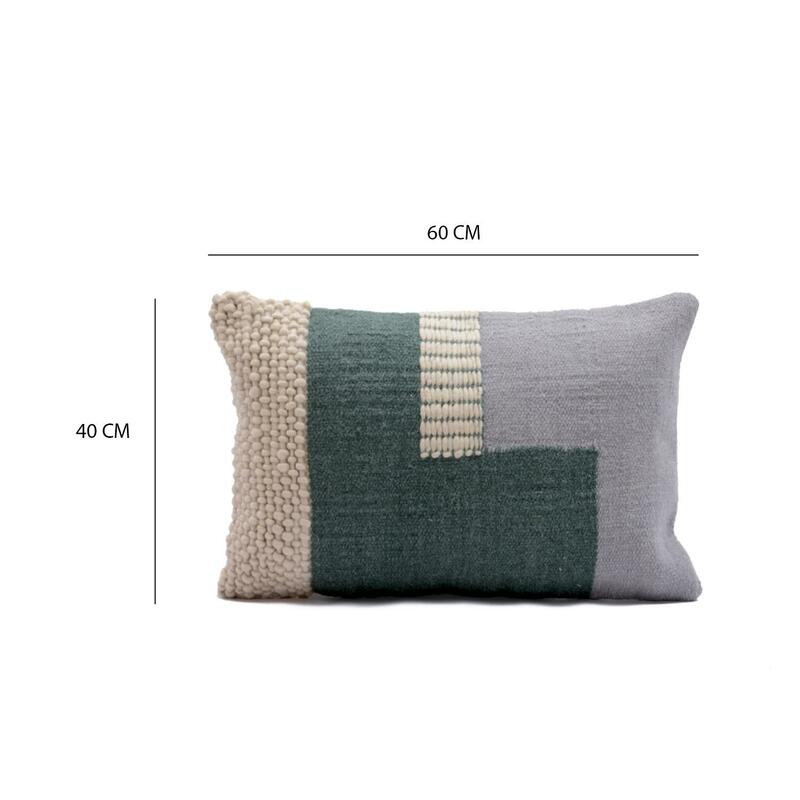 You can place it in bed room, living room or even use for decoration in your home. 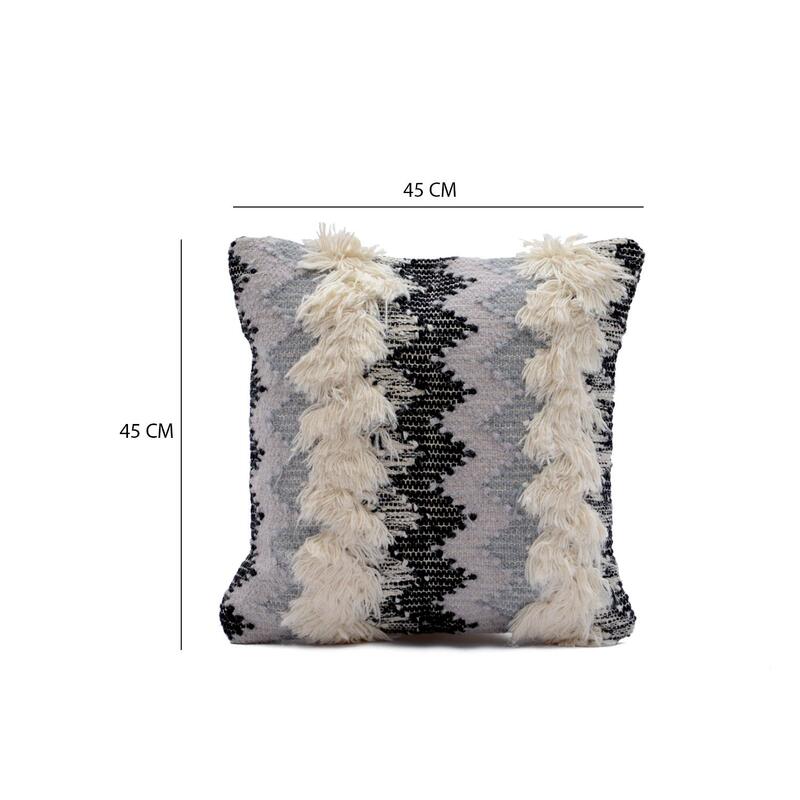 Wool Cotton Chevron Cushion Cover Size: 18" x 18"
Make a fine addition to your home furnishing collection with this beautifully designed cushion cover. 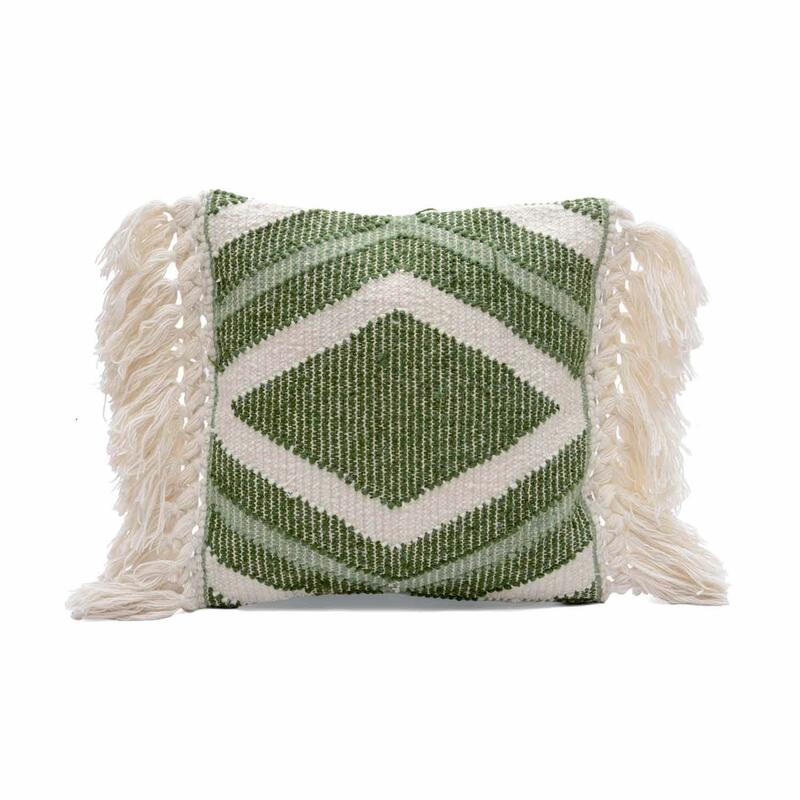 This chevron pattern cushion cover will give a traditional touch to your modern living space. 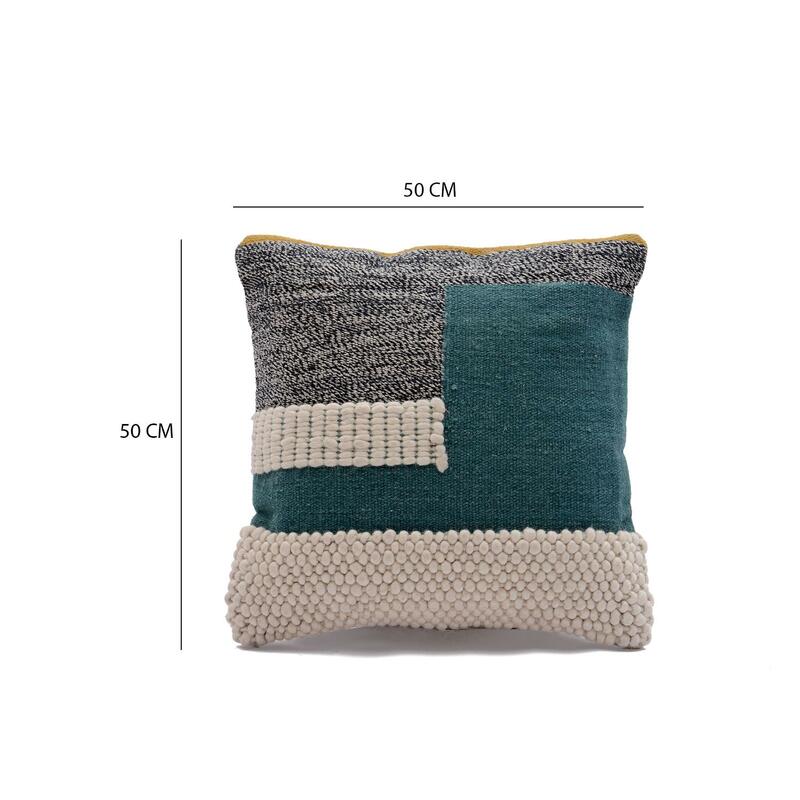 With trendy, eclectic design and beautiful textures, this stunning cushion cover gives your space a unique look. 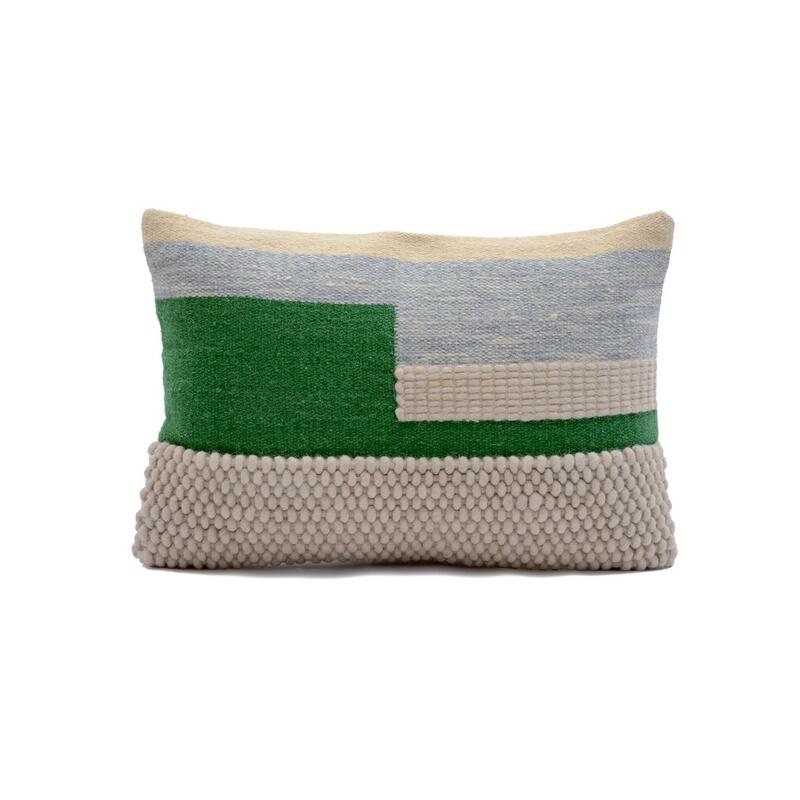 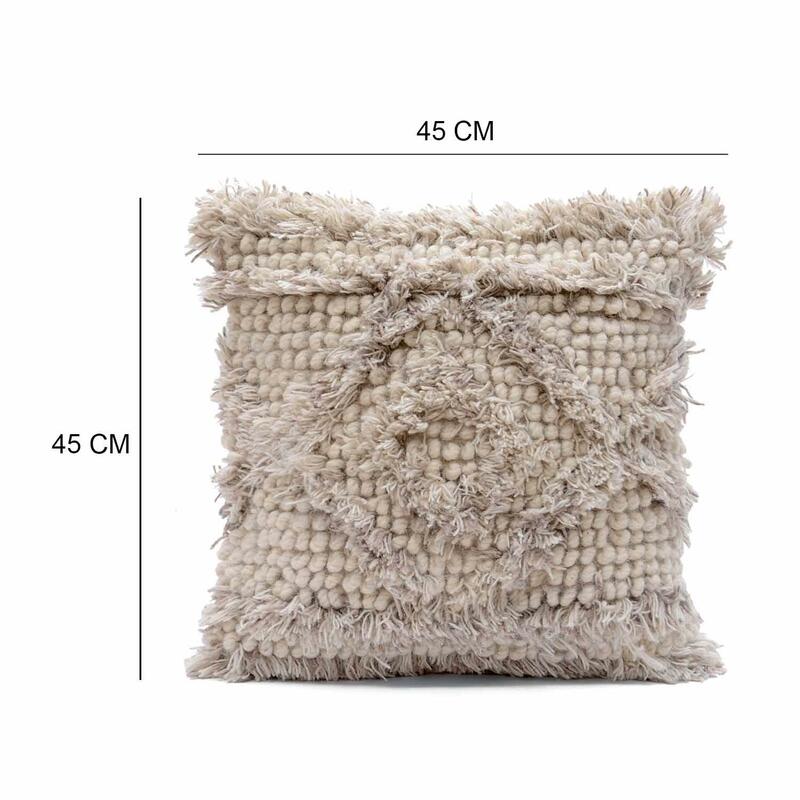 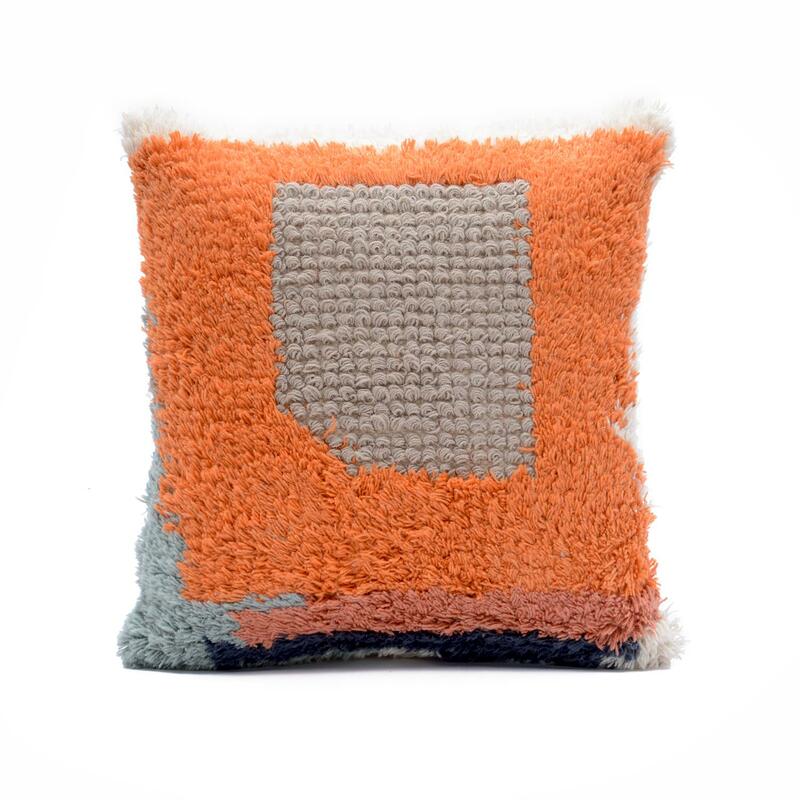 This woven wool cotton blend cushion cover will provide style to your space!